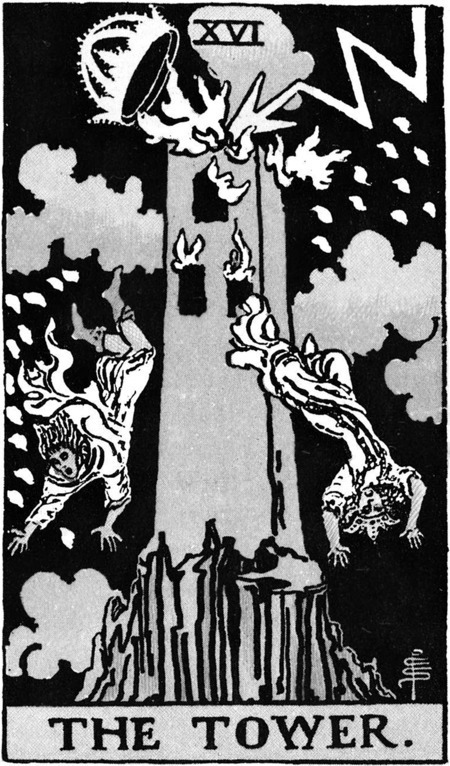 The next card drawn for Tarot Tuesday is The Tower, card XVI of the Major Arcana. An ominous card. Portraying disruption, conflict, unforeseen and traumatic events. When thinking of a tower, the first monuments that come to mind are the Scottish brochs, all of which are now in a ruinous state, and whose function is still not fully understood. But this does not fit the ‘destruction and dramatic change’ aspect of the card. Thus we must look elsewhere for an interpretation. It has been suggested that the coming of the Romans was a factor in the building of the brochs as fortified strongholds. Whether this is the case or no, the Roman period was certainly a time of dramatic change in Britain, and for at least two major settlements, a time of unexpected loss and ruin, and a new start. I’m talking of course of the destruction wrought by the Queen of the Iceni, Boudicca, upon the towns of Camulodonum (Colchester) and Verulamium (modern day St Albans). A section of Roman Wall, alongside the River Ver. 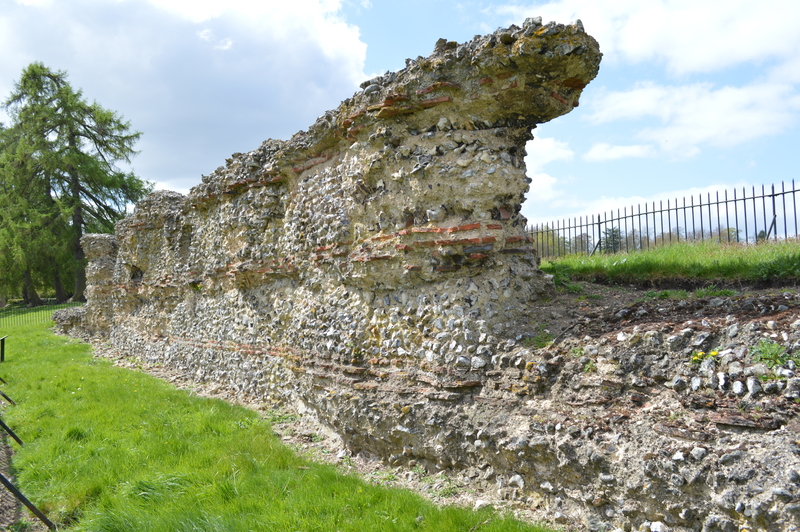 We have reported in the past on a project to geo-survey the area within and around Verulamium, which provides a good indication of the extent of the town at the time of the attack. The town, of course, had a new start and was later rebuilt to become an important centre for the church. St Albans Abbey, the remains of the Roman town in nearby Verulamium Park and the associated museum are all well worth a visit. See our other subjective Tarot interpretations here. « Did you know nighthawks are also respectable detectorists? of COURSE you didn’t!